ANN ARBOR, Mich. and BROOKLYN PARK, Minn. – NSF International, with more than 70 years of global independent certification expertise, has now certified more than 200 ABRA (Auto Body Repair of America) Auto Body & Glass repair centers via the NSF Collision Repair Shop Certification Program. ABRA, a leading national vehicle repair company, was the first to earn NSF International collision repair certification. Consumers can select a shop that has earned independent, third-party certification from NSF International to repair their vehicles by looking for The NSF Certified Collision Repair Shop mark and using NSF’s certified listings to find shops. NSF Automotive Supply Chain Certification: NSF International’s Collision Repair Shop Certification Program complements the NSF Automotive Parts Distributor Certification Program, which certifies that auto parts distributors have quality, inventory and part traceability systems in place. Additionally, the NSF Automotive Recycler Certification Program certifies a recycler’s ability to meet extensive grading, labeling and traceability requirements as well as federal, state and local recycler regulations. The NSF Automotive Parts Certification Program certifies parts via testing and inspection to identify high-quality parts that are equivalent to the OE service parts in form, fit and function. Shops, distributors, insurers and manufacturers of automotive parts and recyclers seeking information about NSF International’s automotive certification programs can visit nsfautomotive.com, email autoshop@nsf.org or call +1 734-214-6271. About NSF International: Founded in 1944, NSF International is an independent global organization that writes standards, and tests and certifies products for the food, water, health sciences and consumer goods industries to minimize adverse health effects and protect the environment (nsf.org). In addition to NSF’s Collision Repair Shop Certification Program, the company is one of the world’s largest automotive registrars to ITO/TS 16949 via NSF International Strategic Registrations (NSF-ISR). 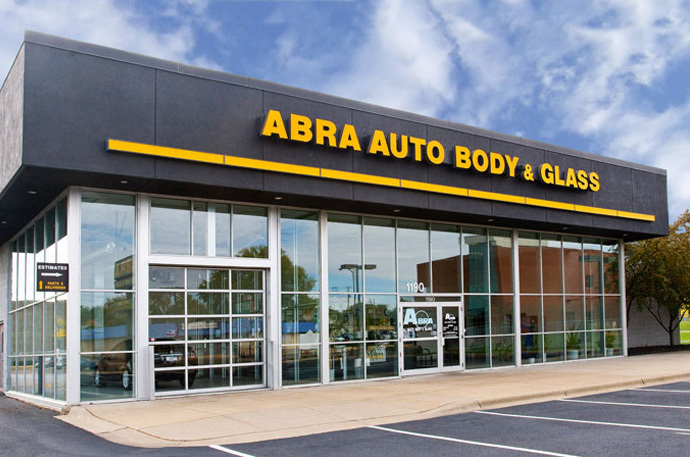 About ABRA Auto Body & Glass: Founded in 1984 and headquartered in Brooklyn Park, Minnesota, ABRA is a leading provider of vehicle repair services specializing in collision repair, paintless dent removal, and auto glass repair and replacement. ABRA’s mission is to be the best auto body and glass company in America by providing quality repairs, in a timely manner, with friendly, helpful service. For more information about ABRA visit www.abraauto.com.